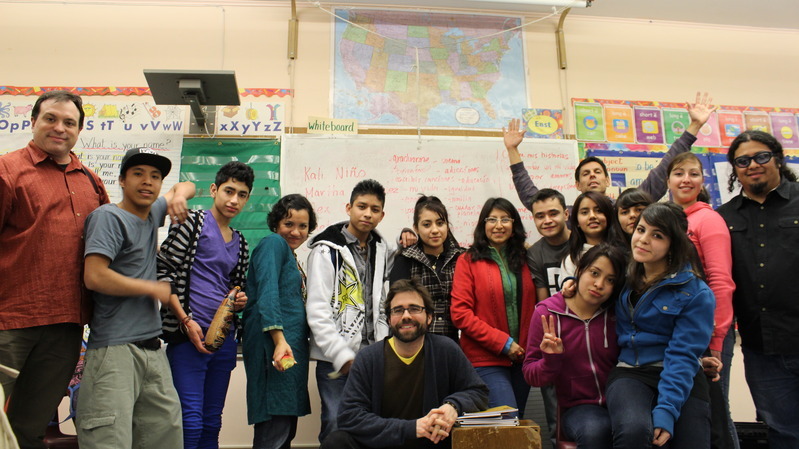 Scott Macklin (left), Seattle-based musician Alex Chadsey (in front), Martha Gonzalez (fourth from left), Quetzal Flores (in back with arms raised) and Juan Perez (right) with students from Seattle World School. Photo by Dulamsuren Narantsetseg, Seattle World student. About a month ago, Associate Director of the MCDM program Scott Macklin joined a team of artists, community activists, and educators to contribute to a week-long project called Sounds Beyond Barriers. Facilitated by Quetzal Flores and Martha Gonzalez, students at Seattle World School, which is dedicated to helping immigrant children in academic achievement and full participation in American society, composed original songs in collaboration with guest artists about issues that affect their lives, such as bullying and equality. Supported by several organizations, including the Seattle Globalist and the Communication Leadership program, the week culminated in a showcase on March 2 featuring the students’ songs, as well as performances by Grammy award-winning Latin alternative band Quetzal and other visiting artists. 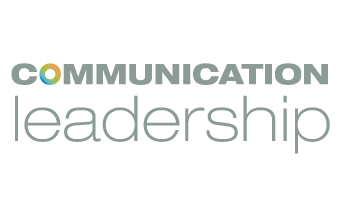 Macklin was part of the Sounds Beyond Barriers design team, leading the media making sessions and producing a film that is featured below.